Filed under Aesthetic Treatments, Beauty, Men's Health. Kybella is a revolutionary, non-invasive procedure to treat “selfie chin” – the stubborn fat on our upper-necks. 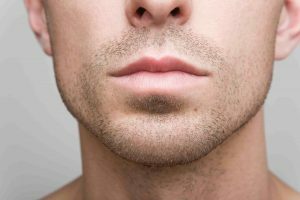 Kybella is proving not only to be popular with women, but with men as well. Men’s Fitness: What kind of guys are asking about it (Kybella)? Then there’s the active guy—he goes to the gym, he watches his diet and exercise, he’s in pretty good shape—but the submental area is his trouble spot and it drives him crazy. Then he turns to Kybella. Men’s Fitness: What’s their top concern? TK: Guys are afraid they’ll look feminine. But with Kybella, we get rid of the double chin and make the jawline look more defined, prominent, and chiseled. The jawline is probably the most masculine area of the male face, and Kybella is creating a more masculine facial structure. Learn more about Kybella here and call us today in San Ramon or Fairfield to schedule a consultation. Get 10% Off Your Next Visit!